Today, it is my pleasure to interview fellow fangirl, Christina Fung, who blogs about HER Star Wars Story at http://www.mschristinafung.com. 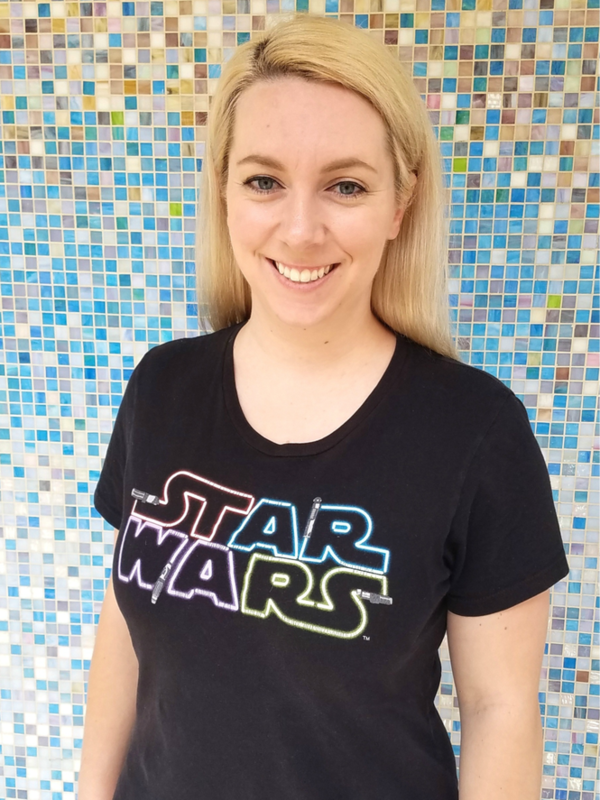 Christina proudly wears her favorite HerUniverse Star Wars tee! I first became aware of Christina through her love of Her Universe and Star Wars via her Twitter, @StarWarsisLove. 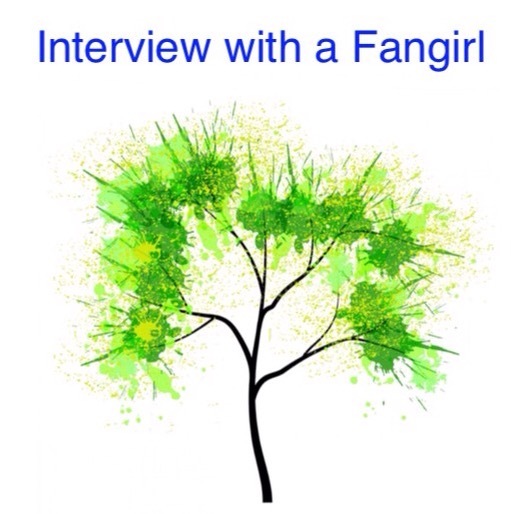 Welcome Christina to The Adventures of The Everyday Fangirl and thank you for taking the time to answer these questions about being a Fangirl. I first realized that I was a fangirl when I was around 15-years-old and I re-discovered Star Wars. Social media has helped me discover other fans and connect with them. When I was younger I used to think that I was the only girl who liked Star Wars, but though social media I found out that I wasn’t alone – not by a long shot! I have vague memories of watching The Empire Strikes Back on TV with my dad when I was young, but after that I pretty much forgot about it. When I became a teenager I saw a magazine cover with the cast from Attack of the Clones and it piqued my curiosity. I bought the magazine (which I still have) and spent the entire summer learning everything I could about Star Wars. I’ve been a fan ever since. Being a fan doesn’t mean the same thing for everyone, and that is a beautiful thing. Star Wars has an enormous presence and there are so, so many ways that you can be a fan of it. One of the best things about connecting with other fans is getting to learn more about the world of Star Wars though their knowledge of the Star Wars universe. I love getting to know people who are more into the books than I am, or who play different video games than I do. If I had all the time in the world it still wouldn’t be enough to explore all of Star Wars, so getting to know it though other fans is such an incredible thing. Disney Parks! I love spending time at theme parks in general, but there is just something extra special about Disney. Once upon a time I worked at Disneyland, and I have such fond memories of those days. Now I get to experience Disneyland though my son’s eyes, and I’m so pleased that he loves it just as much as I do. Plus, Disney and Star Wars are so interwoven that it’s hard not to love both. Also, Firefly. So much love for that series! This is a great time to be a fangirl! Not so long ago it wasn’t cool to be a fan of anything that wasn’t mainstream. Thankfully, times have changed. Now, being a fangirl is mainstream, but because being a fan is unique to each person what being a fangirl really means is that you aren’t afraid to be yourself and share your passions. Be proud of your fandom, if it is what makes you happy then it is part of who you are, and being yourself is always cool. The first thing people usually find out about me is that I like Star Wars, a lot. I’m in the process of trying to join the 501st so that I can do charity work and geek out about Star Wars at the same time. I wear my fandom on my sleeve and occasionally blog about it at mschristinafung.com and of course you can follow me on twitter as @StarWarsisLove to learn what other awesome Fangirl things I am doing!